Earlier this year, Jaguar Land Rover killed off the exquisite Range Rover SV Coupe before it had even entered production due to the company’s ongoing financial troubles. Originally, the limited-edition model was going to be a homage to the original two-door Range Rover and cost $250,000. 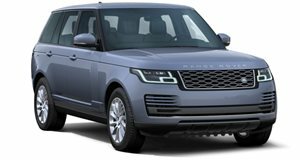 It would have been the fastest full-size Range Rover ever made, with a 5.0-liter supercharged V8 producing 557 horsepower and 516 lb-ft of torque. However, the Range Rover SV Coupe could still be built with some help from another British manufacturer: Lister. Autocar reports that Lister has been offered the tooling to build the axed Range Rover SV Coupe. This would make sense since the company already has connections with Jaguar Land Rover as it bases its current models on the F-Type and F-Pace. But while Lister is apparently "tempted” by the offer, the company is currently busy rolling out its upcoming new models. If Lister does end up building the limited-edition SUV in the future, it probably won’t happen soon, but at least Jaguar Land Rover is exploring alternative options to cut costs and put the Range Rover SV Coupe into production. Lister recently announced plans to revive the Knobbly sports car for the 21st century. A teaser previewing an upcoming concept shows it will be heavily inspired by the original Knobbly, adopting an open-top, two-seat layout and feature a side-exit exhaust, distinctive oval radiator grille, and round headlights. Lister has also added new modern design elements such as carbon fiber side skirts, a carbon fiber splitter, LED headlights, and massive alloy wheels. No word yet when the concept will be revealed, but Lister has confirmed the new Knobbly will enter production.